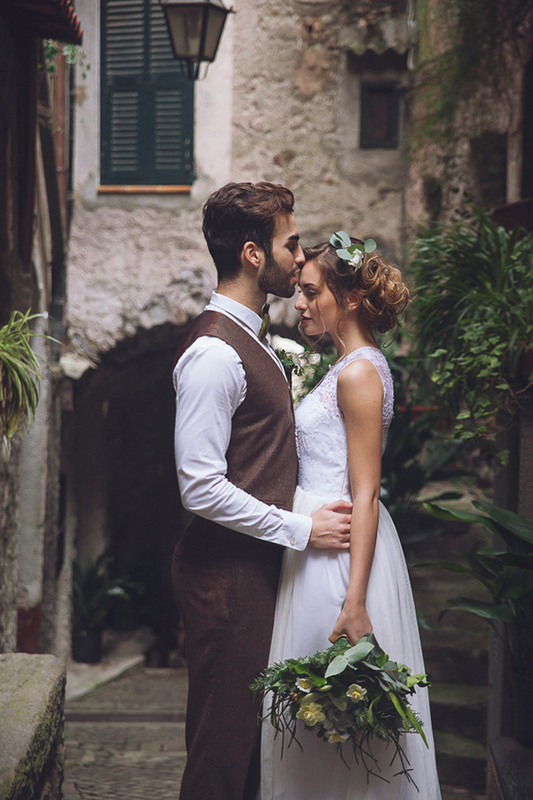 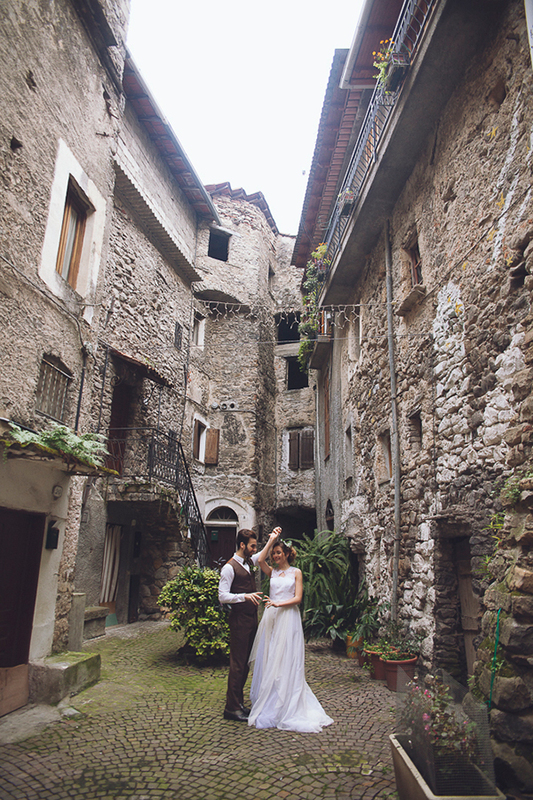 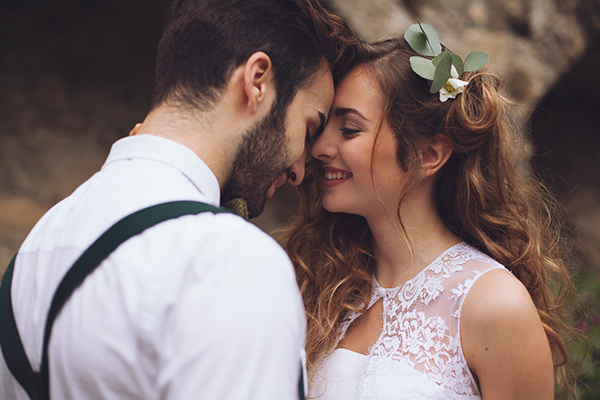 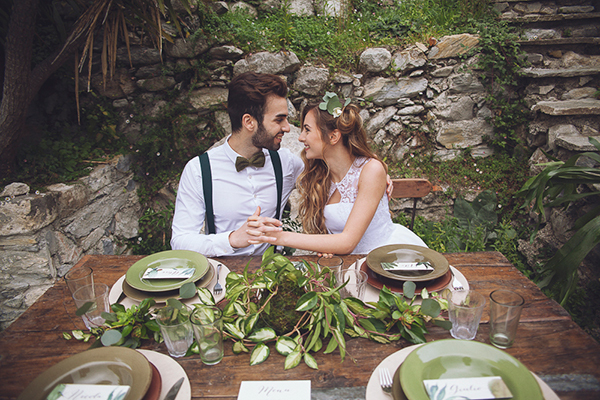 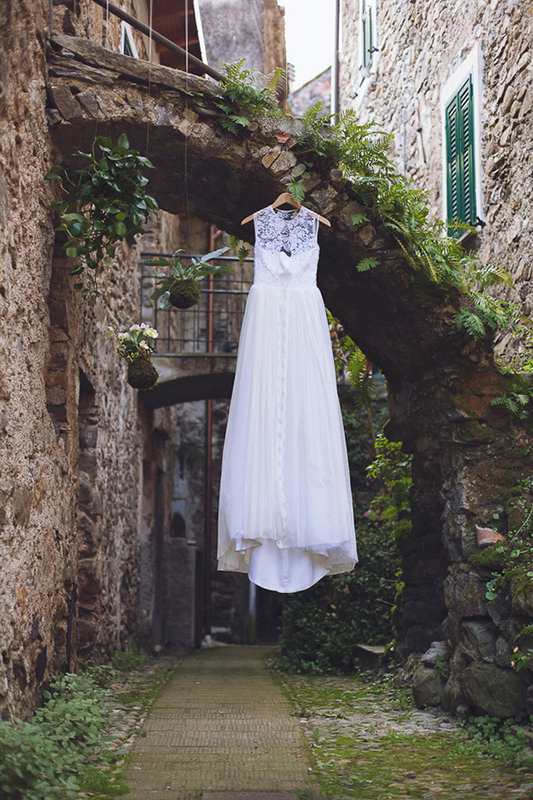 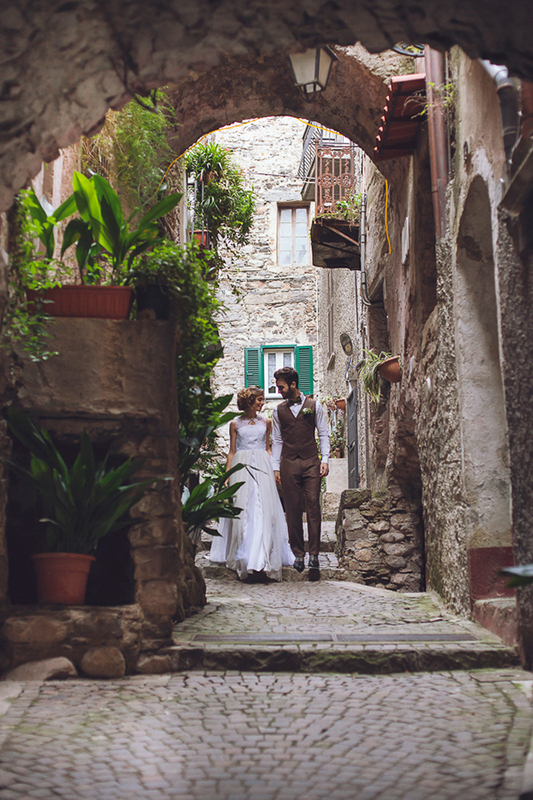 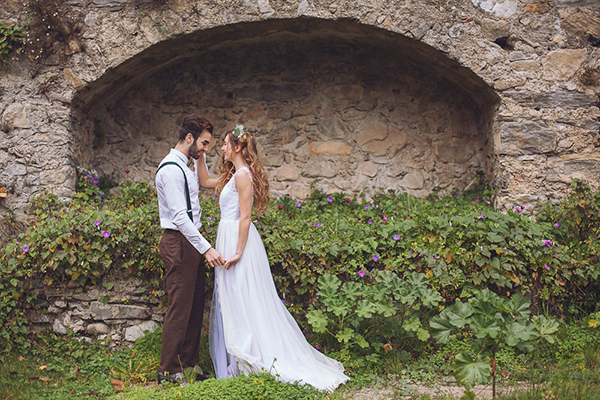 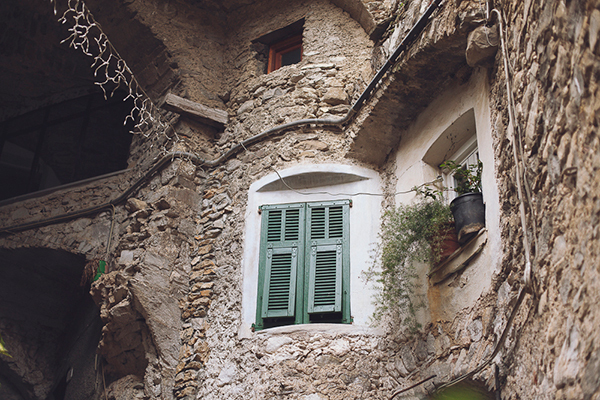 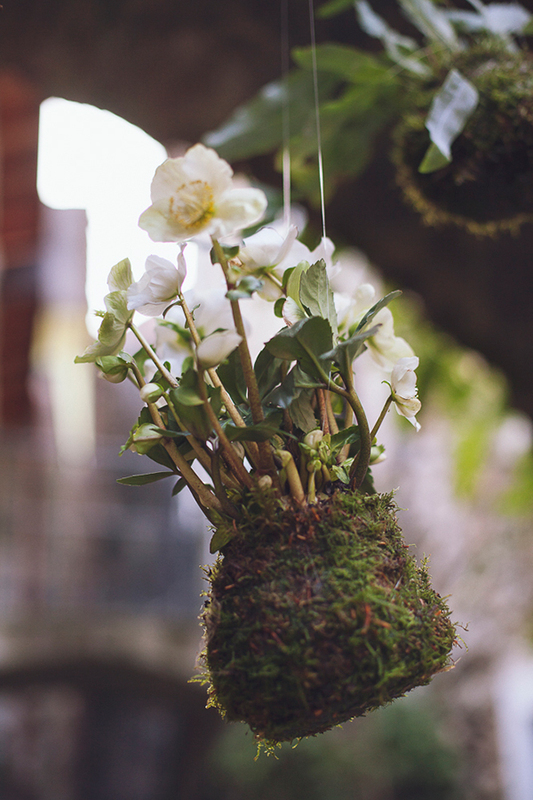 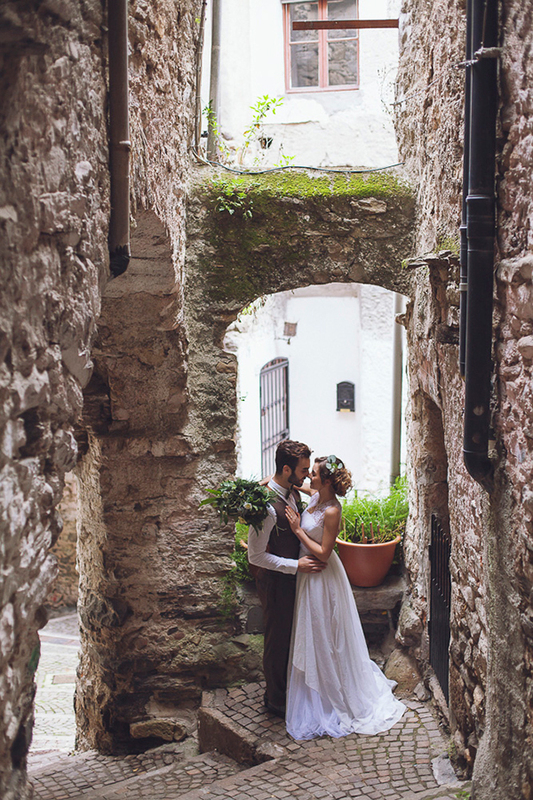 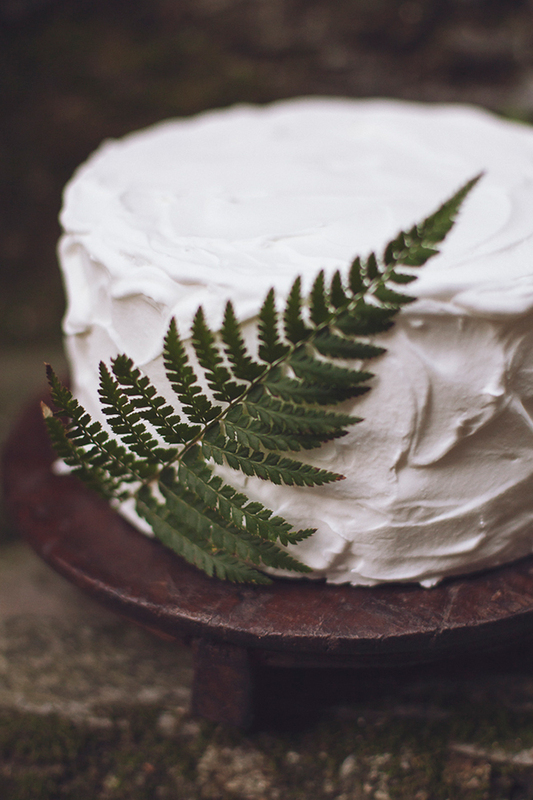 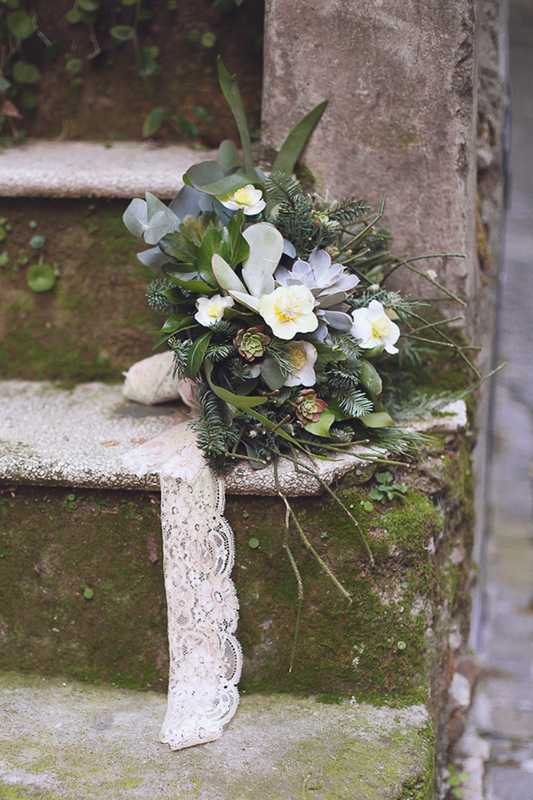 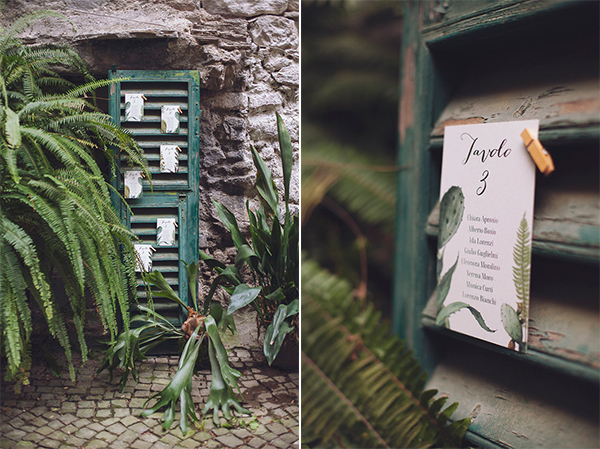 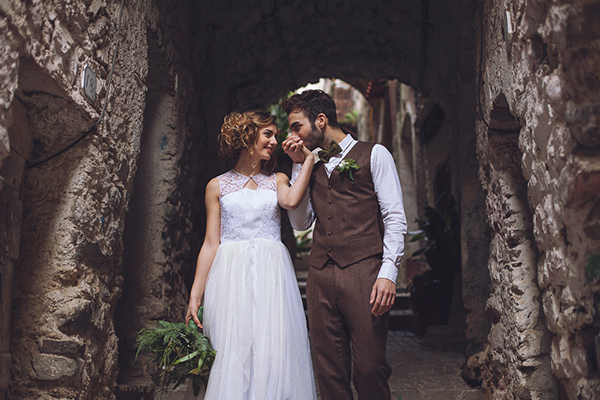 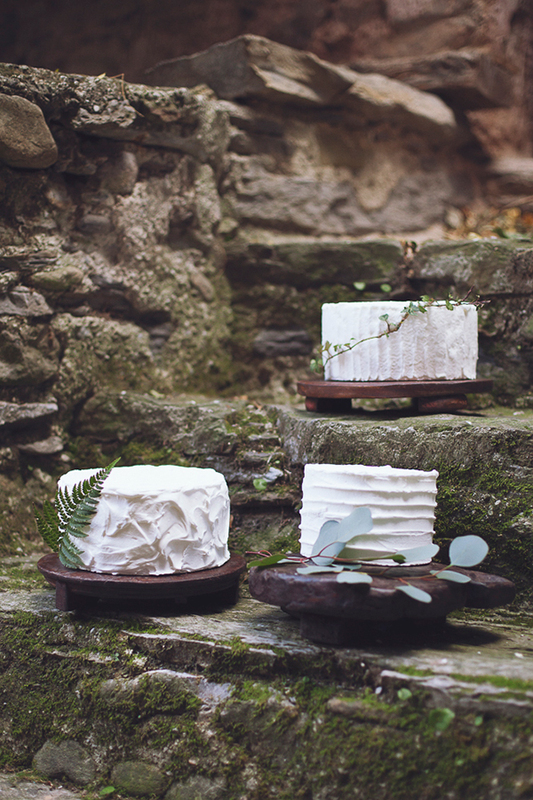 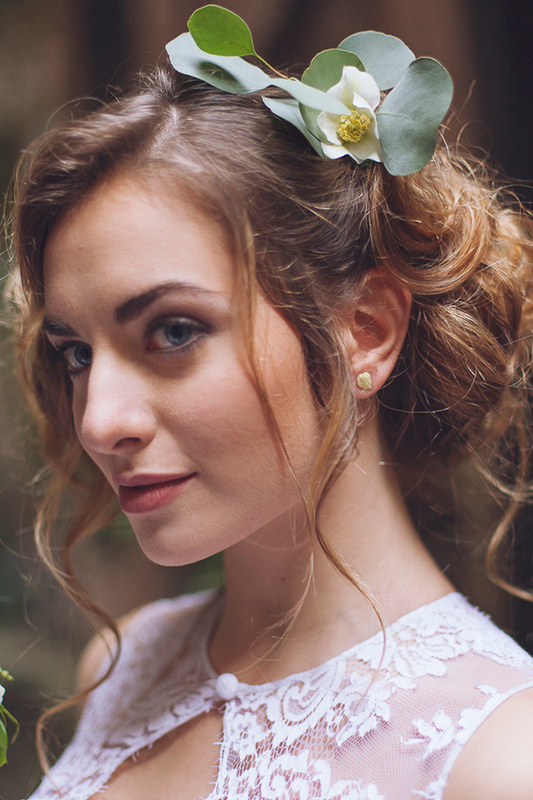 Today we share a beautiful botanical inspiration shoot in Italy! 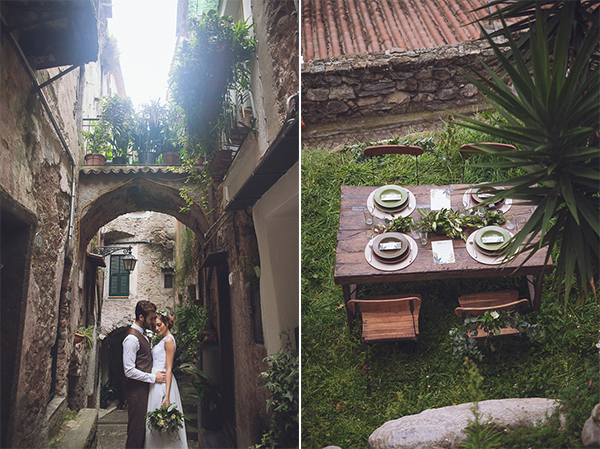 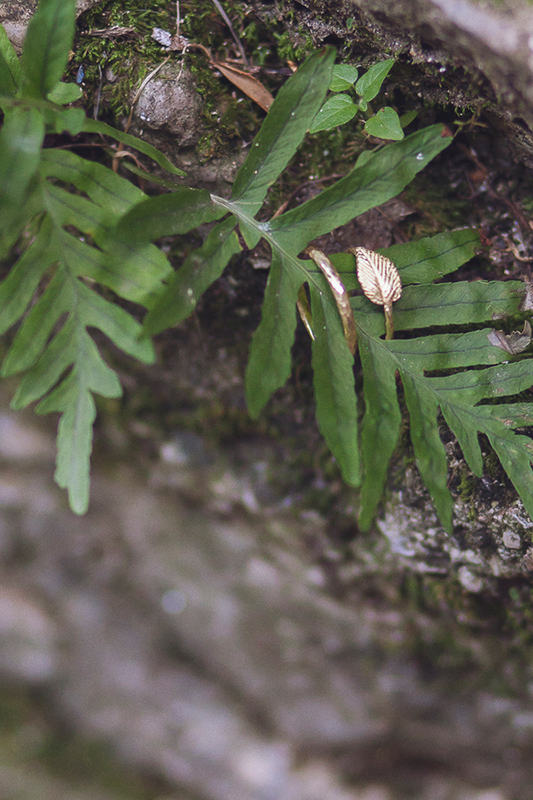 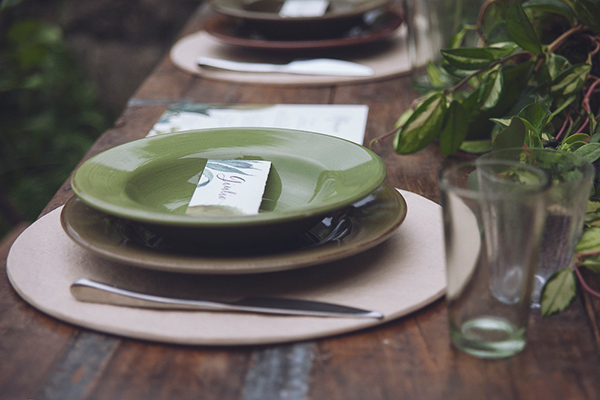 Light yellow and green were the main colors used to complement the natural environment of the shoot! 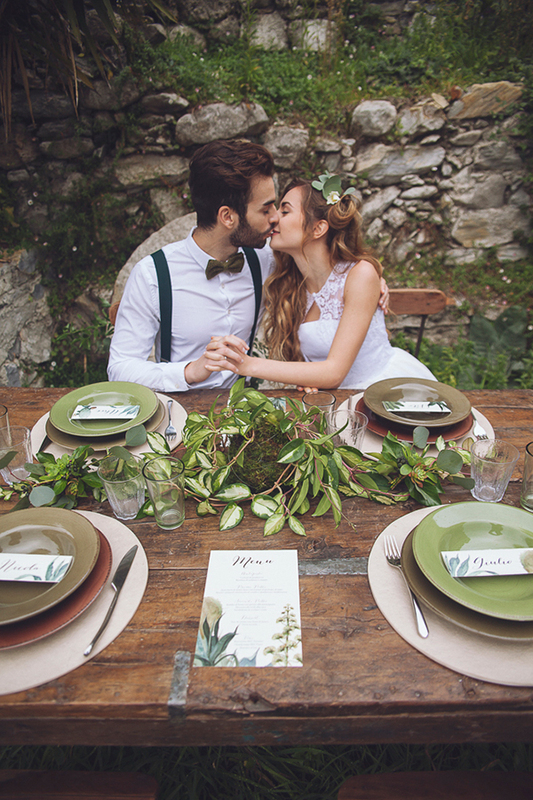 Tiziana Gallo shared with us: “What inspired the realization of this wedding shoot on Candia’s Lake (Italy), was the aim to create a harmonious spring environment, in colors, lines, combinations and natural details. 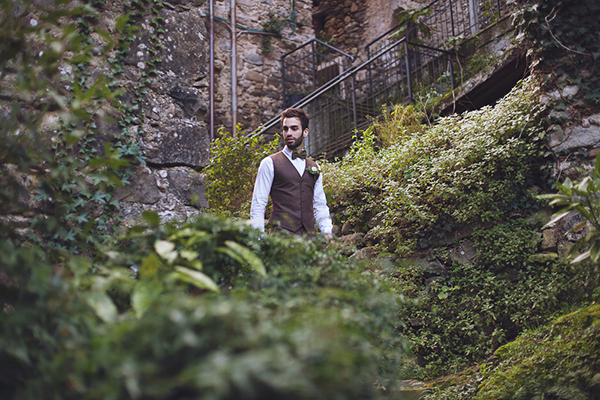 As you can see, the most important aspect of this inspiration shoot concerns the natural environment, surrounding the bride and the groom. 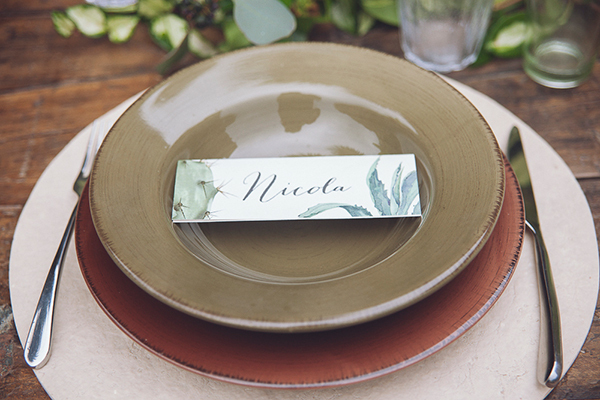 All details feel consistent and almost peaceful: ducks on the lake, the rippling water, the sunset light, the nature as frame. 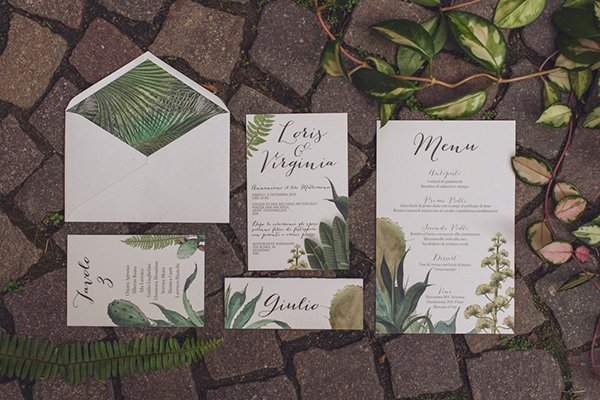 Main colors, the light yellow and green ones, characterize the preparation in every aspects. 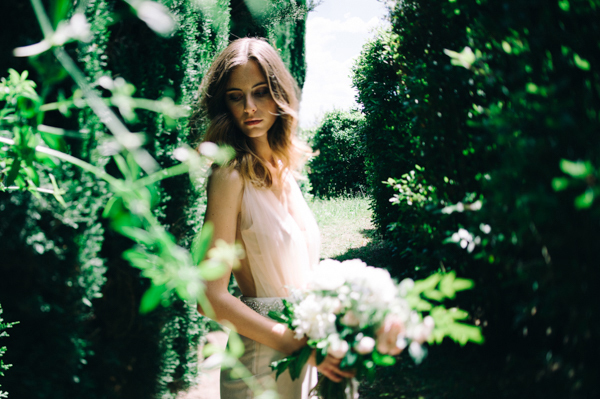 Flowers, chinas, and wedding dresses reflect care and softness. 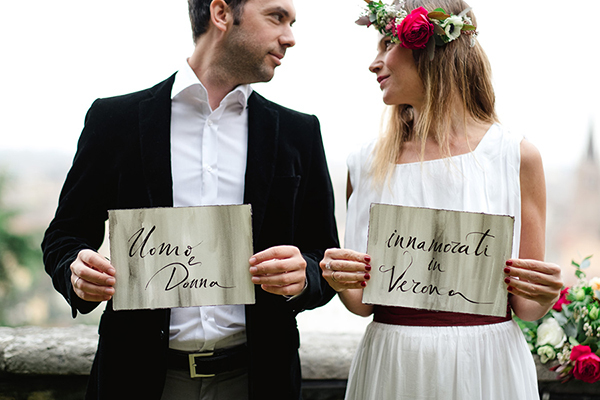 While sunlight’s variations tell about the day, starting from the beginning until sunset”.